What drives success in high performing organizations? 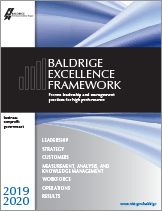 Learn how role model organizations of all sectors and sizes have achieved outstanding results by using the newly released 2019-20 Baldrige Excellence Framework. 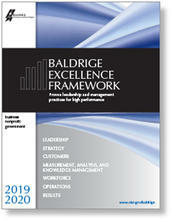 Join national Baldrige expert, Steve Hoisington in Madison February 27-28 and bring your team. Details here.